"The Eight of Hearts is a child of two worlds. They are pouty, yet ancient; shrewd, yet unconscious. The Eight of Hearts have a heavy influence from Neptune which brings a deeper consciousness, yet also a capacity for delusion. 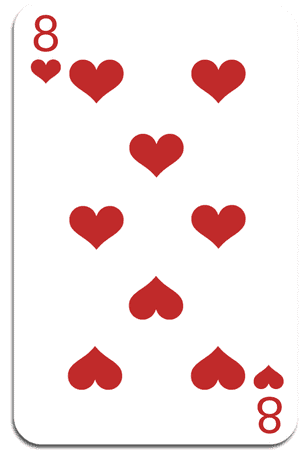 Eight of Hearts have both faith and optimism which are coupled with intuition and imagination. Watch out though..."